Cool, creamy, and easy! Topped with fruit, this is one of my go-to healthy dessert recipes. If you like creme brulee, you’ll like Panna Cotta. 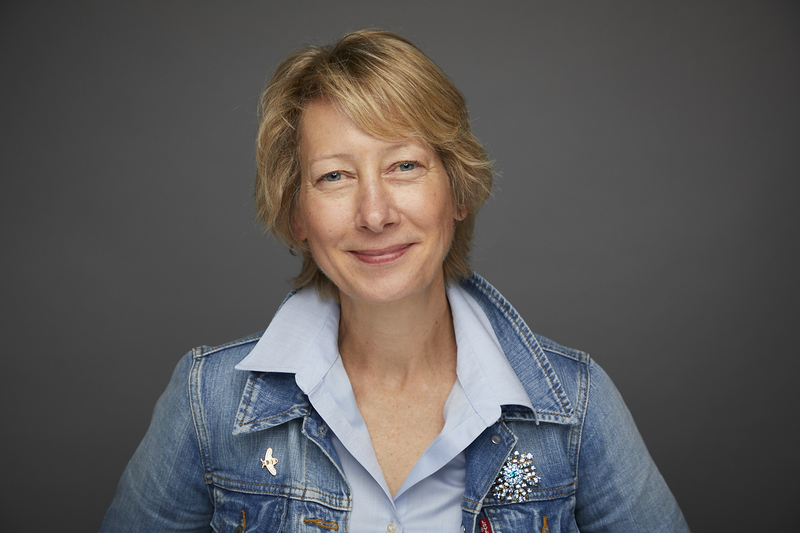 I’ve been sharing the healthyish food blogging space with members of The Recipe Redux for two years. Each month we receive a theme so we’re all in the kitchen with a similar focus. As I celebrate two years (my first Recipe Redux post is one of the most popular on my blog, Strawberry Basil Tarts), the Recipe Redux is celebrating six. So our theme is all about a party! What would we serve for small bite desserts? 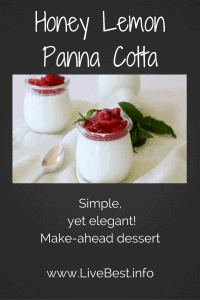 Panna Cotta or PannaCotta, the dessert recipe you’ve been looking for! How ever you spell it, it is a blue ribbon winner! 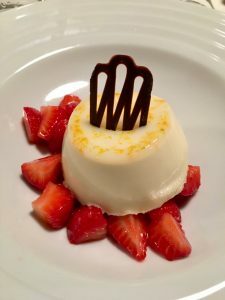 Cooked cream may sound as exciting as rice pudding, but when you’re served Panna Cotta in Italy, it’s unlikely you’ll think meh. 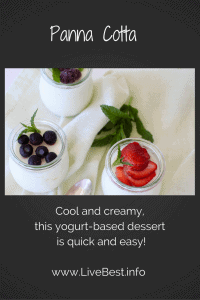 Yogurt fills in for cream to lower the fat and boost the calcium. Buttermilk and lemon zest add tangy flavor. 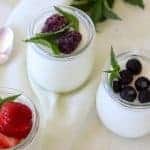 Moreover, yogurt and buttermilk also support healthy gut bacteria. I use this Microplane zester to capture the yellow lemon zest with all the flavorful oil. I also use the zester for limes, oranges, chocolate, nutmeg, and garlic. Unflavored gelatin provides the structure to this dessert. You’ll find it in the baking aisle of the grocery store, near other gelatin products. This is a go-to recipe for entertaining because it can be made ahead — up to three days ahead. Fact is, it must be made ahead to allow time to set. 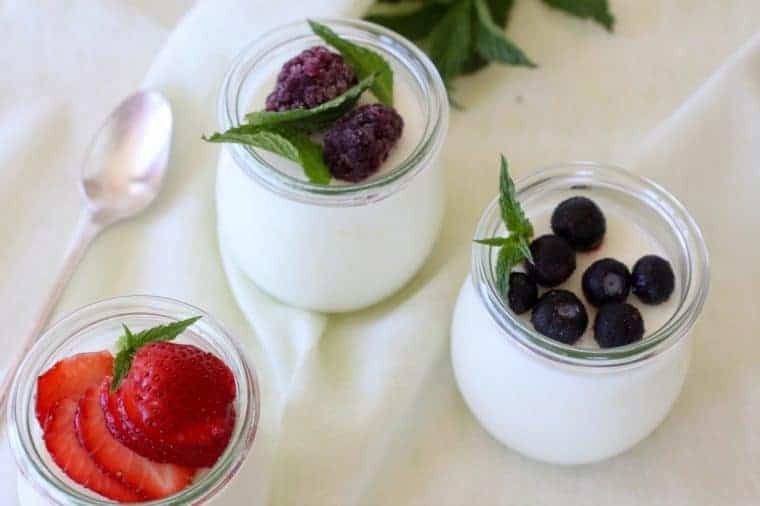 This silky, cool, eggless custard-like dessert, typically served molded or in wine glasses, is as refreshing on a summer night as it is comforting in winter. Is a delicious, easy recipe. Promise. Is a favorite LiveBest healthy dessert recipe. Doesn’t require three shopping stops because it is made with ingredients found in typical grocery store, though it does use unflavored gelatin or gelatine. Is economical so you can serve an eye-popping dessert without jaw-dropping costs. 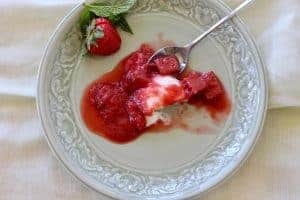 Is an ideal way to serve fresh, seasonal fruit such as raspberries, chopped peaches, rhubarb compote, sliced strawberries. Can be served as a breakfast dessert! P.S. 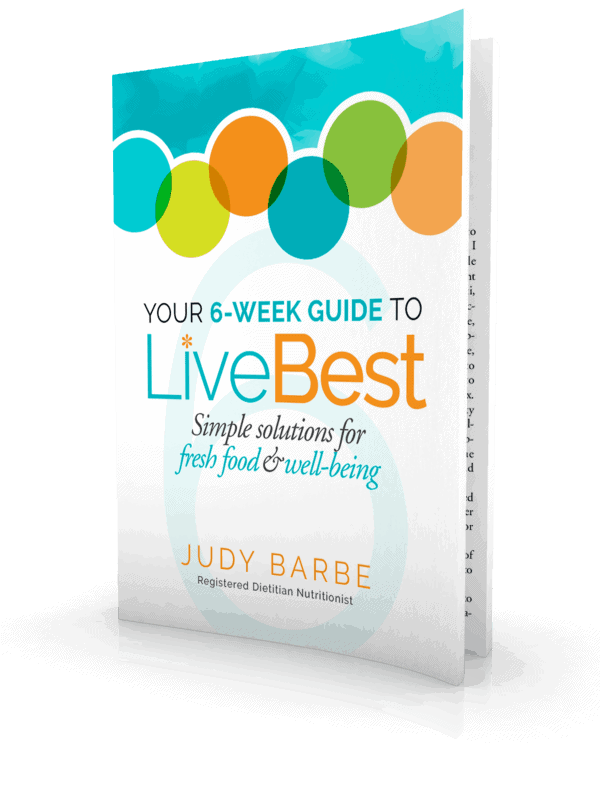 Want more healthy living tips and recipes? Sign up for my newsletter here. Take a look to see how my fellow bloggers are satisfying their sweet tooth, or is that tooths, or teeth?! This post contains affiliate links. That means if you click through and make a purchase, the seller may pay me a commission. It does not increase the price you pay. Love that these can be made ahead! I bet they would be great with fresh herbs too! Great idea with herbs, Karman. I’ve infused the milk with lavender and lemon balm.